T Rajender's controversial speech against Dhanika during a recent press meet still continues to top the headlines. Yesterday, actor Vishal expressed his take on the issue and condemned the multi-talented T Rajender for his accusation against Dhansika. 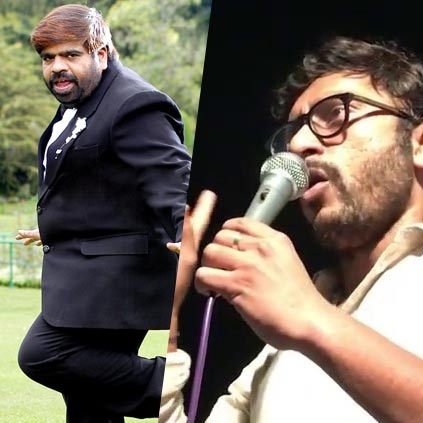 Actor and social activist RJ Balaji also took to his Twitter space to register his take on this issue, "Jus watched TR sir’s speech.Wit due respect sir,what you did was arrogant,chauvinistic n disrespectful.IMO,u cant demand respect,u earn it." EXCLUSIVE: WHAT IS TR'S NEXT MOVE? The multifaceted actor, politician, director and composer, T Rajendar is very selective when it comes to acting. He was recently seen in Vijay Sethupathi's Kavan, but before that, his last full-fledged film as an actor was Veerasamy which released 10 years ago. But we are now told that T Rajendar might act in movies regularly. Apparently, he has been getting many offers post his performance in Kavan. It is said that even makers from Tollywood are interested in roping in TR for their films but he has not signed any film for now. Our sources inform that T Rajendar might soon compose songs for a film. We can expect an official confirmation from the man himself soon. “I strongly condemn Mr TR!” - Vishal’s breaking statement! Great news for Mahesh Babu's Spyder! Official: Vaibhav and Priya’s Meyaadha Maan release date here! Baahubali director Rajamouli talks about Mersal for the first time - check out! Arvind Swami and Amala Paul's 'Bhaskar Oru Rascal' teaser! Official: Actor Vijay’s latest message is here! Breaking: Sai Dhanshika’s statement after TR argument controversy! People looking for online information on T rajender will find this news story useful.